Even though we don’t think of planet Earth as alien – it is in outer space along with all the other planets, so truly, it is an alien planet just like every other planet out there! 1. Planet Earth is the “Third Rock from the sun”. 2. Earth is the only planet (that we currently know about) that has humans. 3. The surface of the earth is covered by 70.8% water. 4. Estimates show the planet as being approximately 4.5 billion years old. 5. The earth is orbiting the sun at a speed of approximately 67,000 miles per hour. 6. 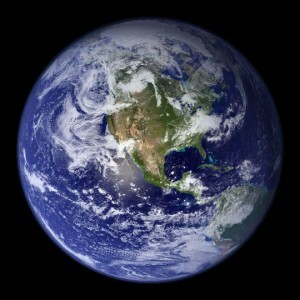 The planet earth is approximately 93,020,000 miles from the sun. 7. The highest and lowest temperature ranges recorded on earth are over 100 degrees apart – going from 135.8°F to -128.5°F record temperatures. 8. It takes the earth 365.2425 days to travel around the sun. 9. 97% of the water found on the Earth is saltwater, only 3% is freshwater. 10. The atmosphere of the planet is made up of about 80% nitrogen.